There's an old Greek expression that my mom would often recite to me growing up, which roughly translates to: 'How you make your bed is how you'll sleep.' Those words ring through my ears to this day and on a regular basis (congrats mom, you win), because the general sentiment has proven time and again to be true— the little things you choose to do will have a larger impact on your life. Make your bed nicely, sleep well; work hard, reap the benefits; be kind to people, live a more charmed life... and so on and so forth. This recently got me thinking about my morning routine— specifically with regards to the beginning of my workday— and how the way I start my day really does play a role in how productive I ultimately am. If I allow myself to read through my Bloglovin' list, update Tumblr and watch four vlogs first thing, well, I don't have to tell you what kind of day that leads to. I think structuring the first hour of your workday to optimize for success is especially important to those who are freelance or self-employed, because with no one holding you accountable, it can be hard to hit the ground running each morning without some sort of guideline. And that only leads to wasted time, added stress and lost opportunities (who needs that!). So with that in mind, here are the first few things I do to kick off my workday and set the tone for a more successful day. If you have any tips that work well for you, please feel free to add them in the comments below! I think there really is something to having a clear, organized workspace that helps you get the job done. Physical clutter can lead to mental clutter, so take a few minutes each morning to tidy up your desk and take pride in your workspace. And if having important papers/documents at hand and easily accessible is crucial to your workflow, even more reason to get organized. The next thing I like to do once everything is nice and tidy— besides making a coffee— is to take a few minutes and review my to-do list. I often keep a running list of larger tasks that I need to check off my list, but add daily must-dos as I go to stay on top of everything. 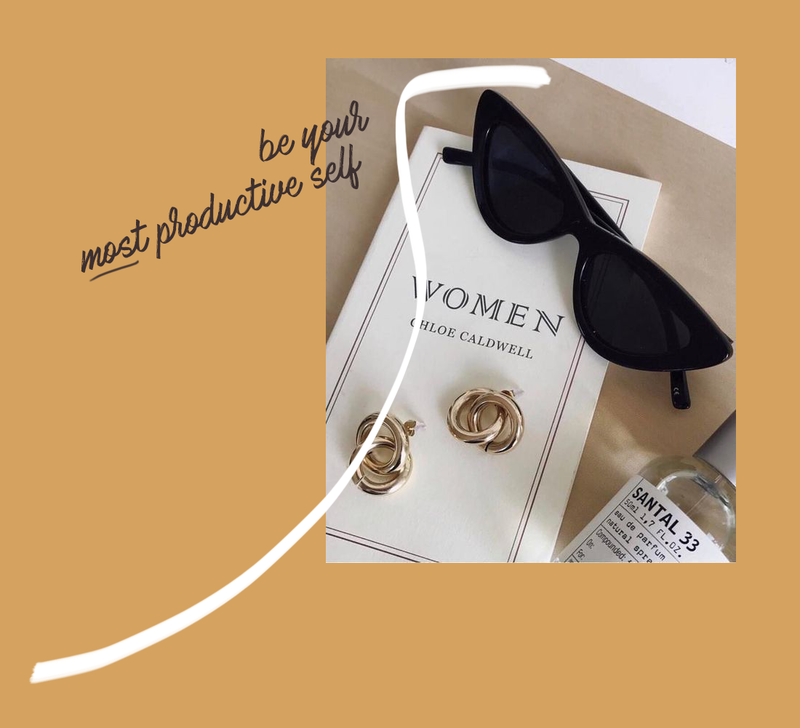 This mix of pressing, daily tasks and bigger-picture items helps me not only stay afloat of my workload, but to slowly move the needle forward in terms of bigger career goals as well. Just don't set too many items on your list to the point where you get overwhelmed; an 80/20 ratio of daily to big-picture tasks is a good place to start, and always write your to-do list in order of importance as to hit the most pressing items first. You know that task that you've been putting off and dreading all week? The one that feels too daunting to tackle, so you push it to the side, only to have it hang over your head and make you feel guilty for not having just done it in the first place? Those tasks can really affect your overall productivity, because not doing them right off the bat negatively impacts your mood the rest of the day, whereas ticking them off your list makes you feel light and ready to tackle anything else that comes your way. Apparently the most successful people operate under this philosophy, so if it's good enough for them, it's good enough for us, too. Here's the biggest predictor for daily productivity that I've found— and best of all, it's a super simple practice to incorporate into your day. If, after making a roadmap of my day and putting out any fires from the night before, I spend a few minutes thinking about what I want my life to ultimately look like, as well as all the things I'm grateful for, my day takes a more positive tone and has direction, which ultimately makes me work harder. Our thoughts are very powerful, and in my experience, incorporating this practice into the first hour of my workday really sets me up for a productive, rewarding day ahead. Thank you for these tips. A very helpful post!